Garage doors are an important feature of your home and garage, but there are plenty of things that you need to do to ensure that they work safely. Not only is important to keep the garage door kept up and well maintained in order to function properly, but you want to avoid any injury to yourself or others when the door is being used. In addition, a lot of the safety features that are in place are meant to keep your personal belongings and home in good condition and safe from theft and vandalism. In a lot of cases, upkeep and maintenance, in the form of repairs and proper use are important to ensuring that the doors are used in the safest way possible. Learning garage door safety is crucial. One of the best ways to ensure that your door is working properly and is being well kept up and in good repair is to check it over on a regular basis. Because the door is in constant use, look it over once a month in order to make sure nothing is broken or worn out. Check the springs, the safety features, the lock, cables, and all other structural parts that are part of the mechanism device. Test the safety features that are set in place for your door in order to ensure that they work properly. This includes the remote system and the sensors that should reverse the door in case there is a person or object in the way. These sensors need to be able to respond in a timely matter in order to make the door as safe as possible. If you are aware that you are going to be absent from your home for an extended period of time, or not using the door, unplug it. It is possible to override the remote system and automatic opening controls in order to prevent the door from opening at all without being restored back to power. This is a great feature when you want to ensure that it is not in operation for several reasons, including the constant presence of young children. This feature can help to prevent accidents that might occur in your absence. Hiring a skilled technician that can regularly check on the condition and operation of your garage door is an important way to maintain any doors. When you are not aware of what to look for or how serious a problem is, there are professionals that know what to look for and what needs replacing immediately. These professionals are able to make repairs and replacements quickly and competently, without creating any new issues and ensuring that your garage door is safe for use. Garage door professionals are also the first and best source of new safety features and devices that can be used or introduced in order to ensure the safety of your belongings. New trends and information are key to making sure that you always have the least inconvenience and the best possible working garage door for your home. Noisy garage doors can be caused by all of the many springs, pulleys and cables that make the opening system work. From needing anti-vibration pads or worn rollers, loose hardware or squeaky parts that need lubricated, there are a myriad of different problems that may arise with your garage door. If you’ve been trying to figure out how to fix your noisy garage door, here are some tips. Use a socket wrench to tighten the nuts on the track system, as well as tighten the opener chain (procedures can usually be found in the door manual), and lubricate the opener track and all the hinges, pivot points, springs, and torsion bar bearings. This should be done regularly, every six to twelve months. Instead of using things like grease or oil, you should use a specialized garage door lubricant, which lubricates all the parts without attracting dirt or unwanted residue. Check all the rollers on the opening system. Worn rollers are one of the most common problems for noisy garage doors, and are usually a quick fix. Nylon and steel rollers are available online, at hardware stores and at garage door retailers. The roller bearings may also need to just be lubricated. Worn hinges are less common, however they can occur after some years. You’ll need to figure out which type of garage door opener you happen to have, a screw, chain, or belt drive. To test the balance of the door, pull the cord that opens and closes the door manually, and raise the door halfway before releasing it. If the system is unbalanced the door should fall, however stable garage doors should remain halfway open at that point. Identifying the types of noises your garage door system is making can be very important in determining what may be wrong with it. For instance, a loud ticking noise may indicate the rollers or the bearing within the pulley have worn away. A grating noise is usually the cause of the coils in the garage door springs becoming bent out of shape and knocking against each other. Although some noises and problems with a garage door have easy solutions that can be done without help or large expenditures, sometimes that is not the case. Torsion springs and bearings may require professional help to replace. If hinges on the opening system seem to be squeaking, it may just need to be lubricated; however if it seems to be making a grinding noise, it most likely needs replaced. This usually requires the help of a professional as well. Refer to your garage door manual to see if the identified problem needs to be repaired by a professional. If you have any questions, don’t hesitate to call your local garage door repair company. When you are dealing with any problem in your home, it is important to really get down to the bottom of that problem as soon as possible. This will keep your problem from becoming much more difficult to deal with. If you leave a maintenance issue in your home unattended to you will find that there will be much bigger problems that you will have to deal with. This is particularly true when you are dealing with your garage door. Here are some of the most common reasons why your garage door might not be closing. This may seem like an extremely simple thing that would happen and too good to be true, but it is actually very common for this to be a problem. Sometimes all you need to do in order to get your garage door back into working order is changing the batteries in your garage door opener. When you are dealing with problems closing your garage door, one of the main reasons may be that your track is out of alignment. This is something that can become a much bigger problem if it is not caught right away. Trying to close your garage door on a track that is out of alignment can result in your garage door becoming damaged and warped. If you feel as though you are dealing with a track that is out of alignment, you should always call a garage repair company. The cold winter months can cause problems for many mechanical aspects in your home and your garage door is no exception. When this happens, there is most likely a loose connection that is causing this issue. When you are dealing with a loose connection it is important to have a professional come and assess the problem. If you try to deal with these cables you could further damage the problem or injure yourself with an electric shock. If you find that your motor is running your door but your door is not moving you may have a problem with your disconnect switch. Every garage door comes with a disconnect switch and this helps to run your door in an emergency setting. You may have accidentally activated this switch when you weren’t meaning to. Try to find this switch and deactivate it. This should really help your problem and get your garage door back to full working order again. A garage door spring is absolutely critical to the very operation of a garage door. The garage door itself is something that is most likely used on a daily basis. So how long will the average spring last? And how can you ensure that you maximize its life potential? The life expectancy of a garage door spring can only be calculated in cycles, but you can easily translate that to a time estimate. The average home opens and closes a garage door four times daily, and, with a 10,000-cycle torsion spring, this translates to a lifespan of approximately seven years. Thus, high-cycle springs can have lifespans that last from 14 to 20 years. Your garage door spring, like any other metal component, can be affected detrimentally by wetter climates. Moisture on the metal creates an environment ripe for rust. Rust buildup causes the core friction to increase, thus wearing down the metal of the spring even more rapidly. Cold is another serious factor. Steel contracts and becomes more brittle with severe cold weather. It’s therefore logical that garage door springs most often break in cold weather. After a cold night, the unsuspecting homeowner expects the garage spring to perform its duty as it does every other morning. But without being allowed to gradually warm up just a bit, a loud crack will let you know it’s taken more stress than it could handle in the cold, and you’ve got a broken spring on your hands. While owning a garage door is imperative to your comfort and convenience, getting a high electric bill every month isn’t always easy to handle. By taking the proper actions, you can not only lower your monthly electric bill, but you can also improve the energy efficiency and green consciousness of your home. Below are five of the most common ways to make your garage door greener. The latest garage doors have light bulbs attached to the garage door device. Rather than guzzle energy with a traditional lightbulb, it is best to use a garage door light that utilizes an LED bulb. The LED bulb is preferable over an incandescent light because it does not use up as much energy and it also provides you with the right amount of light to utilize your garage safely. Another popular option to turn your garage door into greener technology is to have an insulated garage door installed. In most cases, homeowners own garage doors that are thin, flimsy, and unable to keep cool and warm air during the respective months within the home. As a result, energy and electricity are wasted. In order to prevent waste and to keep your electric costs low, it is best to install a garage door that is insulated. An insulated garage door will prevent energy from leaving the home, thereby keeping your energy costs low. In any instances, your garage can become congested, leaving dangerous fumes in your garage. The best way to prevent this problem and to create a greener garage is to have exhaust fans installed. With an exhaust fan in your garage, you can easily cool your garage without spending additional money on cooling costs, the ventilation will improve, you can prevent condensation, and it protects the materials in your garage. Exhaust fans are also green technology, so that you can feel good about the efficiency of your home. While it may seem unlikely, the paint and finish application process to your garage door can affect how green your garage is. There are some companies out there that have adopted methods that improve how green your garage is by saving energy and keeping the hot or cold air in your garage when necessary. To find the right paint and finishes, speak to your garage door repair company to ensure that you’re getting the best for your garage. Washing your vehicle in your garage can waste a lot of water. Rather than end up with a high water bill at the end of the month, there are certain improvements that your garage door specialist can make in your garage to help you save water. These improvements include greener water collection technology, water channels, and water movement that is directed towards areas that needs water. By adding water conservation technology and undertaking the steps above, you can make your garage into a perfectly green space. These are the best doors around. 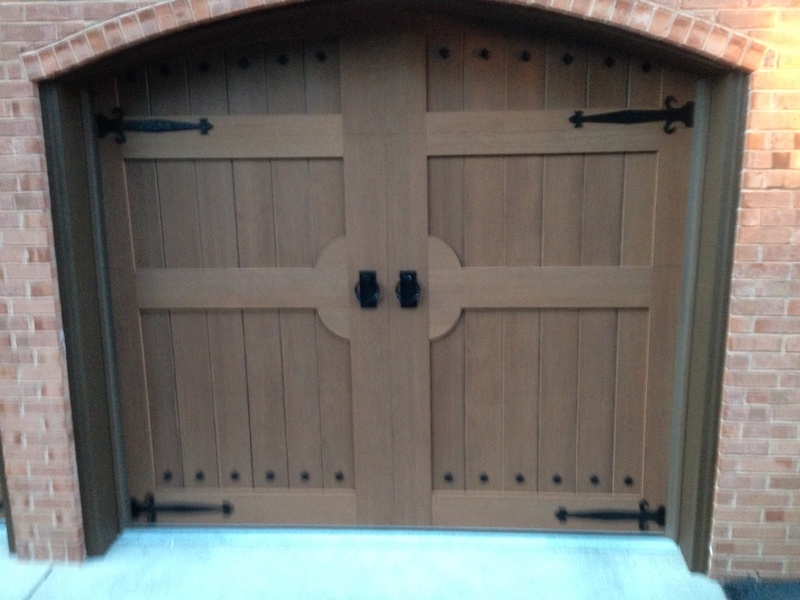 Custom Designed Canyon Ridge Doors. Are you looking for unique and beautiful doors for your home? 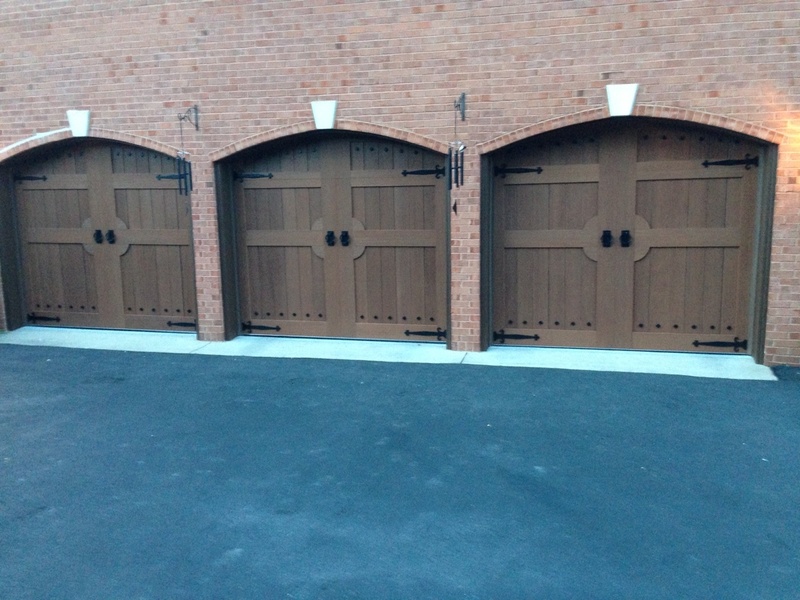 Contact us at (703) 912-DOOR or (301) 277-DOOR.